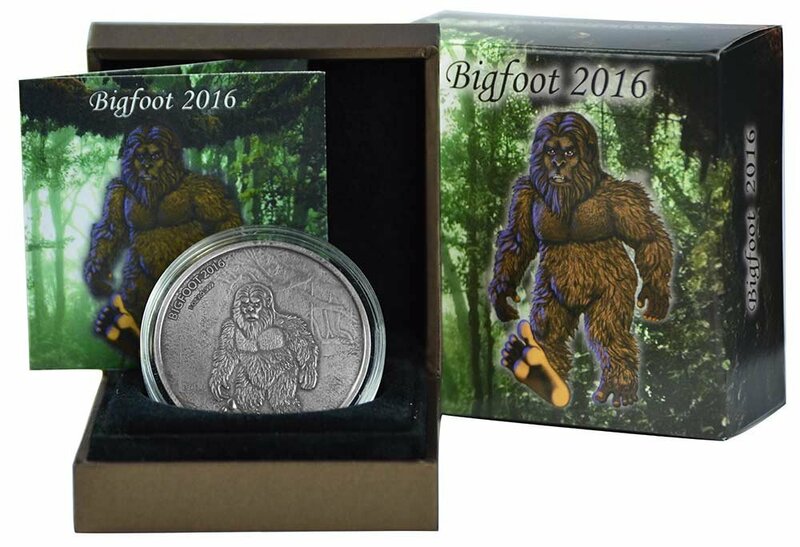 This beautiful 1 Ounce Silver Coin features the legendary Bigfoot; a large, hairy, muscular, bipedal ape-like creature, roughly 7–8 feet tall, covered in hair described as black, dark brown, or dark reddish. The coin has an Antique Finish quality and high relief. Mintage is extremely low — 350 pieces worldwide — making this a highly collectible coin. The coin comes sealed in an air-tight capsule in a case and in a box. Each coin is labeled with a number from 1-350 and comes with a Certificate Of Authenticity. 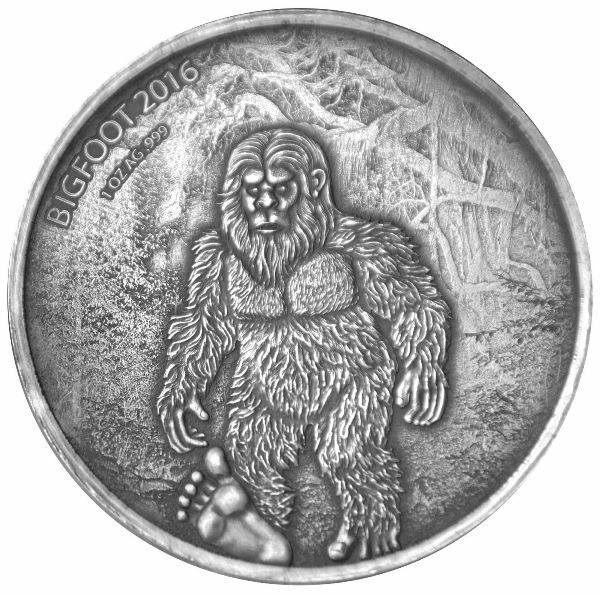 The reverse of the coin depicts the great Bigfoot — a large, hairy, bipedal humanoid. The coin details describe the wild man very well. He appears very human-like and walking on two legs. On the top of the coin, the inscription: "Bigfoot 2016" (the name of the coin and the year) and the weight and the fineness of Silver: "1 Oz AG. 0.999". 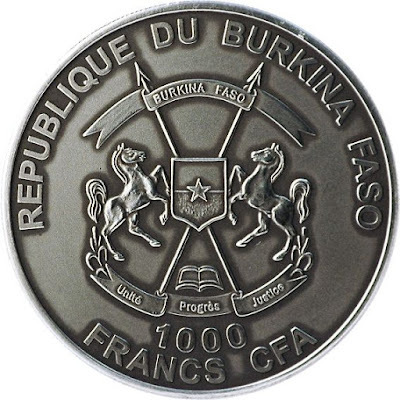 The obverse of the coin depicts the Coat of Arms of Burkina Faso and the face value of 1000 Francs. Thanks for the great coin Johnny! I love it so much I might have to get another one! You're Welcome Bill! My Pleasure. uuuuhhhhhgggg the sorrow of being on disability my whole life an unable to afford things like this i am a bigfoot fanatic!